13 What The Hell Happened To Me? 99 Whore! Where Are You?! 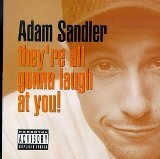 Adam Richard Sandler (born September 9, 1966) is an American comedian, actor, musician, screenwriter and film producer. 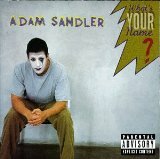 After becoming a Saturday Night Live cast member, he went on to star in several Hollywood feature films that grossed over US$100 million at the box office. Though he is best known for his comedic roles, such as in the films Billy Madison (1995), Happy Gilmore (1996), Big Daddy (1999) and Mr. Deeds (2002), he has also had success in romantic and dramatic roles, such as in the films The Wedding Singer (1998), Punch-Drunk Love (2002), Spanglish (2004), Reign Over Me (2007), and Funny People (2009). 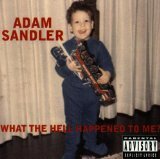 Adam Sandler was born in Brooklyn, New York, the son of Judy, a nursery school teacher, and Stanley Sandler, an electrical engineer. 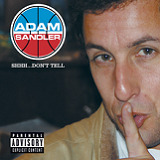 Sandler is Jewish. When he was five, his family moved to Manchester, New Hampshire, where he attended Manchester Central High School. He found he was a natural comic, and nurtured his talent while at New York University by performing regularly in clubs and on campuses. He graduated with a Bachelor of Fine Arts degree in 1988.